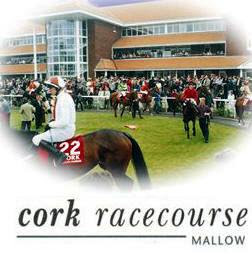 On Tuesday evening we are back in Ireland ,for good quality group three contest at Cork .10 runners declared for the Give Thanks Stakes for fillies & mares, over 1M 4F on ground described as Good . The three main contenders on official ratings are Flying Fairies , Glamorous Approach & Eziyra . FLYING FAIRIES : 4-Y-0 Bay Filly,winning 4 out 17. Has shown improved form since stepping up in trip ,including winning 11.5F Listed contest at Roscommon last time .That looked decent performance beating Glamorous Approach comfortably,having suffered trouble in running .Looks open to further improvement over this trip . GLAMOROUS APPROACH : 4-Y-0 Chestnut Filly ,winning 4 out 16.Has been in good form this season winning twice at Curragh ,including winning 10 furlong listed race .Also finished creditable second in 11.5F listed contest at Roscommon last time .Should be thereabouts,each-way claims . EZIYRA : 3-Y-0 Chestnut Filly,winning 2 out 6 .Had some useful form as two-year-old ,including winning the 7 furlong G3 Weld Park Stakes at Curragh .Has also shown some fair form this season ,including finishing creditable 7L third in Irish Oaks,behind the useful Enable .Should go well in this easier looking G3 contest . VERDICT : Eziyra will be popular receiving plenty of weight off her main rivals,having chased home King George winner Enable over this trip in Irish Oaks,however was soundly beaten in listed company in June .Has to be respected ,though Odds around 7/4 look poor value . The progressive FLYING FAIRIES should go well,after producing a career best effort at Roscommon last time,coming from off the pace to win decisively, in decent looking listed contest. Looks open to further improvement returning to 1M 4F.Odds around 13/2 look fair each-way value . thank you for making this review, this is really interesting blog for people who like horses!